Another mod of the Mini Cooper set. Features a motorized track and a steered front suspension with skis. This creation is yet another mod of the Lego 10242 Mini Cooper set, which I have already modified a number of times. 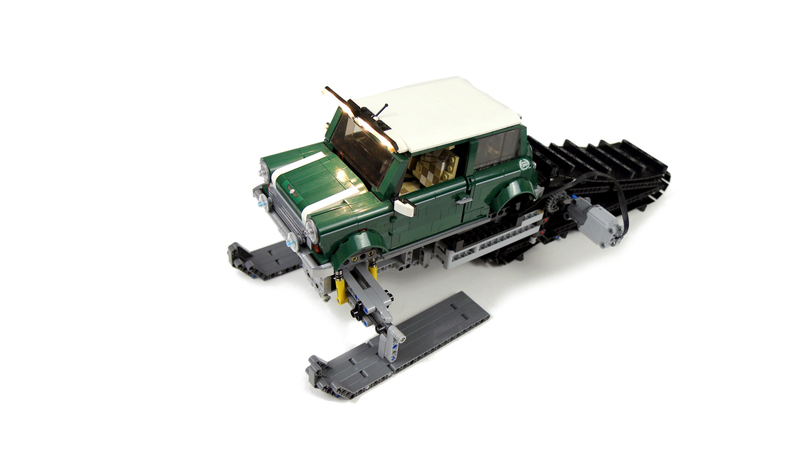 This time the primary goal was to study how a vehicle with skis drives on snow, and also to test Brickstuff LED stripes in dark. The body of the Mini was, as usual, equipped with a 8878 battery in the trunk and an SBrick behind the front seats, then installed on a simple chassis with independent suspension steered with a PF Servo motor in front and a long track driven by two PF L motors geared 3:1 in the back. The front suspension design was somewhat experimental – the steering links were located between the steering arms, not in front of them. This made the entire suspension setup more compact, allowing me to add shock absorbers in front of it and behind it, without them coming in contact with the steering links. Instead of wheels, the front suspension was fitted with a pair of simple skis made of beams. 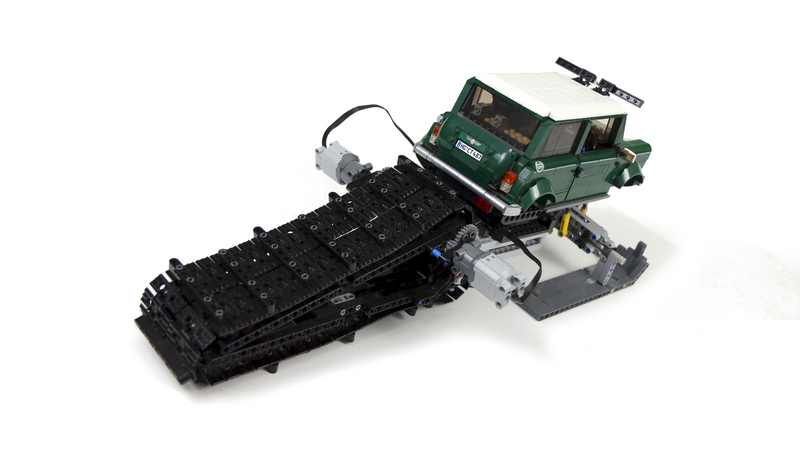 The track propelling the vehicle was made of two large Lego tracks, 10 studs wide total, with 9 L beams attached for improved traction in deep snow. The track wasn’t suspended and propelling it were two PF L motors mounted simply on its sides. I wanted to test the vehicle on snow at night, which is why I’ve added two roof lights in form of warm-colored Brickstuff LED strips which were put on 1×6 LEGO tiles. They were fed from a single AA battery in the cabin using Brickstuff’s own battery box, and they provided very strong source of light. The tests, conducted on old, hard and wet snow, proved that the vehicle was poorly balanced, with too much weight on the skis and too little on the track. The skis would often get stuck and sometimes break off, being attached improperly, while the track, despite good traction and plenty of torque, was unable to unstuck them. 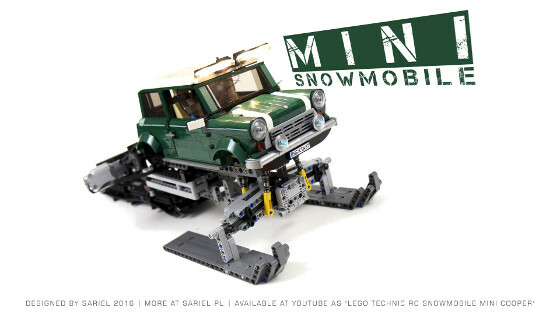 On average, the Mini would travel a meter or a little more before getting stuck, and every time the problem were the skis. Even though I consider the model a failure, it was extremely educating. It was very interesting to watch how the weight distribution affects its rough terrain capabilities and how the skis behave. While replacing skis with driven tracks would certainly work better, it was still interesting to consider alternative solutions, such as perhaps bigger skis or skis with some kind of grease on their underside, like in the real skis. 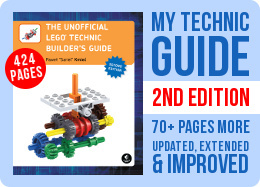 ps, I really like your Lego Ideas project “Henry the Hamster” he’s so cute! 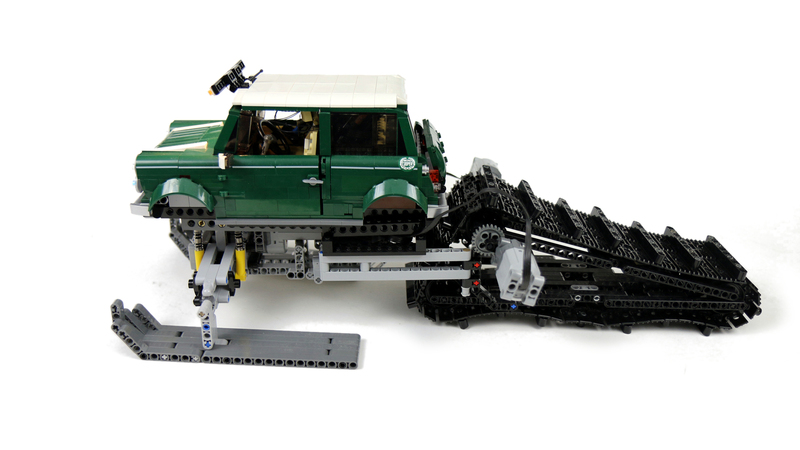 PS, how’s the progress on the Land Rover Defender going? Thank you for another funny variation of the Mini. Apart of weight distribution, which is always relevant in vehicles, I think the skis could benefit much from a more gentle initial slope, and suggest, that a non-staggered front bow acts better, as the ski aims to shift itself onto the surface, not plowing into it. 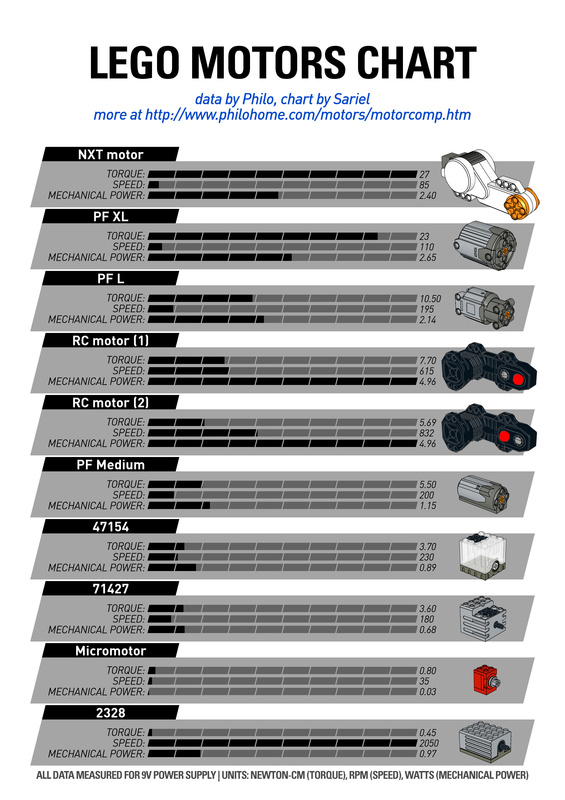 Try the 3 x 5 x 0.5 connector plate with the bow, vertically mounted?